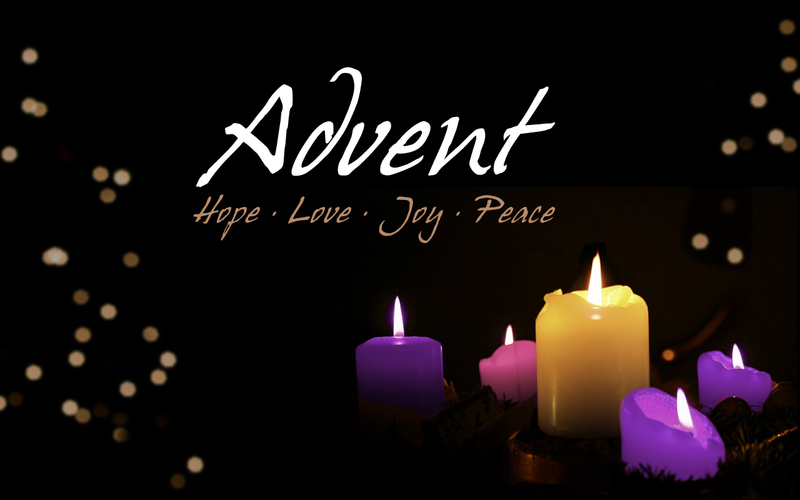 Light the final purple candle (the Angels’ Candle), which represents peace. In Psalm 85, we find ourselves, once again, with the people of Israel who are lamenting over their sin and hoping that God will show them favor, once again. How can God’s peace, His shalom be with them and with us, when we know that we have failed in so many ways? How dare we approach Him in the hope of being forgiven and blessed rather than judged and cursed? When the Bible speaks of God being at peace with us, it is not necessarily a feeling of peacefulness that is being referenced. Instead, it is a cessation of hostilities; in this case, it is God who is the offended party who has the right and authority to be angry with us, whose hot wrath has been completely satisfied so that He can be both “just and the justifier.” Don’t misunderstand: It’s not that God just decides to overlook our little tiny mistakes. No, we have done more than make a little tiny mistake. We’ve been in rebellion against His Word and way our entire life; yet, here we are hoping for forgiveness, reconciliation, and peace. It would be audacious if we weren’t commanded to hope in this way. What is our only hope? Our only hope lies in His character, where steadfast love and faithfulness meet. He is righteous enough, good enough, and consistent enough to always keep all His promises, and He has promised that no one who calls on Him will ever be cast aside (Romans 10:13). Our peace with God does not rest on our own ability to be in complete compliance with His commands at all times. No, our peace with God rests in that little baby crying in His cold manger. He’s the One who has steadfast love, faithfulness and righteousness and it’s in His Person, weak though it seems. That peace is brought to us through one kiss of grace from the Father to His rebel creation. It is Christmas week! We have been waiting for this week all year long. It is going to be hard to remember the real reason we celebrate Christmas when we are so excited about presents. So, let’s take a few minutes today and remember what our real Present is, the only Present that will make us really happy. This week we are going to talk about peace. Peace with God is knowing in your deepest down part of your heart that God is not mad at you and that all He feels is love for you, His child. We have talked about it a lot this past month, but do you remember why God isn’t mad at you? It is only because of Jesus, because of the baby that was born thousands of years ago in Bethlehem. God’s love for you will never end because of Jesus. God’s love for you is steadfast, that is a fancy way of saying no matter what you do His love stays the same. His love is always there. His love forgives every wrong thing that we have done in the past, all the wrong things we do today, and every wrong thing that you will do in the future. Jesus dying on the cross took away all of God’s anger for all the wrong things you have done; this is peace. God will always give us what is good for us and is never mad at us—that is the peace that we have with Him, that is part of our incredible present that we get not only on Christmas day, but every day.